NEW YORK, New York, January 9, 2013 (ENS) – The Nuclear Regulatory Commission must permit public participation in decisions about exempting nuclear power plants from federal regulations or explain to the public why it will not do so, following a ruling by a federal appeals court this week. With this ruling, the U.S. Court of Appeals for the Second Circuit has created a new legal standard and legal presumption in favor of public participation in “exemption” decisions at nuclear power plants. 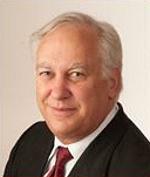 The appeals court ruled in a case brought by Richard Brodsky, a former New York State Assemblyman representing Westchester County who is currently a senior fellow at the progressive think tank Demos in New York City and at the NYU Wagner School for Public Service. Brodsky v. NRC challenged the Nuclear Regulatory Commission’s practice of issuing “exemptions” to its own health and safety regulations at Entergy’s Indian Point nuclear power plant on the Hudson River in Westchester County, and doing so in secret. The coalition that brought the litigation to court includes the Sierra Club-Atlantic Chapter and Westchester’s Citizens Awareness Network, or Westcan. The plaintiffs argued that federal law requires the Nuclear Regulatory Commission to notify and involve the public before it allows Entergy to violate NRC health and safety requirements. In its ruling, the appeals court agreed with the plaintiffs, and expressed grave concern about the NRC’s ongoing practice of making safety decisions in secret. 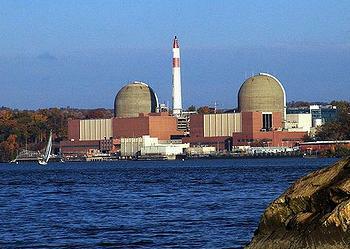 The Indian Point “exemption” challenged in Brodsky v. NRC dealt with fire safety. NRC Rules require that the electric cables that control reactor shutdown in an emergency have fire insulation that lasts one hour. But when tested, the insulation at Indian Point lasted just 27 minutes. Rather than require Entergy to upgrade the insulation to meet the one hour requirement, at Entergy’s request the NRC issued an “exemption” that lowered the requirement to 24 minutes. The NRC did so without notifying the public of its consideration of Entergy’s request, or permitting the public to comment or participate, or attend a public hearing on the matter. “The record before us fails to provide any agency explanation for why no public participation was deemed practicable or appropriate with respect to the challenged exemption case,” the appeals court stated in its ruling. The failed fire insulation at Indian Point was a “degradation of defense-in-depth fire protection and safe shut down in the event of a significant fire,” the court ruling states. It will now be possible for the public to seek an accounting of those “exemptions” and challenge them. Kennedy serves as president of the Waterkeeper Alliance, is a professor and supervising attorney at Pace University School of Law’s Environmental Litigation Clinic and co-hosts “Ring of Fire” on Air America Radio. The plaintiffs expressed their appreciation for the intervention of then New York Attorney General Andrew Cuomo, whose early concern about this issue was noted by the court in its ruling.